Travel is stressful, we all know it, we all suffer it. Long airport lines, large amounts of luggage, security, cramped seats and all the other myriad problems that we face before, finally, getting on our long awaited holidays. Below is a list of products stocked by Just Online to help you create an easy and stress-free travelling experience. 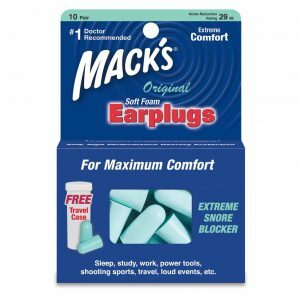 Macks Safe Sound Ear Plugs with Free Travel Case (https://www.justonline.co.uk/product/macks-original-safesound-earplugs-10-pairs/). Going to a long transatlantic flight? Taking a late-night or early morning trip? Don’t miss out on sleep and don’t worsen your jetlag! Plane, train and coach engines are noisy and often our fellow travellers are noisy to. Earplugs are essential for the light sleeping traveller. These specific earplugs come with a travelling case to keep your plugs organised. Go Travel- The Nightshade Luxury Contoured Sleeping Mask (https://www.justonline.co.uk/product/go-travel-the-nightshade-luxury-contoured-sleeping-mask/). Continuing with the peaceful travelling theme: Just Online offers a contoured sleeping mask to keep out the light and keep in the sleep. 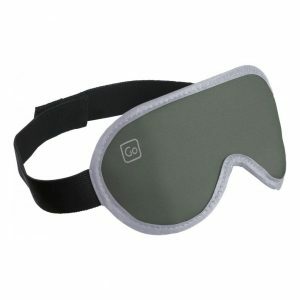 Rely on jumpers, scarfs and other accoutrements no longer- get hold of a sleeping mask and regain your sleep. 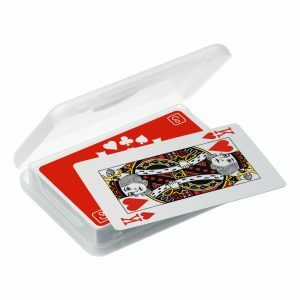 Go Travel Playing Cards- Waterproof (https://www.justonline.co.uk/product/go-travel-playing-cards-waterproof/). Playing cards have always been a staple of the traditional family holiday: from ‘up and down the river’ to ‘cheat,’ a deck of cards provides countless possibilities. Entertainment, along comfort and ease, is central to a good travelling experience. These cards are coated in a non-tear material that is also waterproof. The cards come in a tidy box, keeping the deck together in your suitcase. This deck is, specifically, a good investment for holidays, and travel, because of its durability and space efficiency. Go Travel- Pegless Travel Clothes Line (https://www.justonline.co.uk/product/go-travel-pegless-travel-clothes-line/) Whether you’re going camping, staying in an AirBnB, hostel, or somewhere else that happens not to have a clothes dryer- taking this portable clothes line with you will save you trouble. 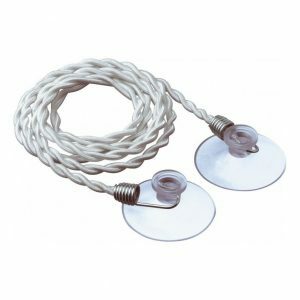 This product is ergonomically designed for ease of use during holidays it comes with suction pads for easy hanging, and its string twists allow the user to ditch the clutter of clothes pegs. These innovations allow for a minimalist clothesline- that makes for easy travel and easy use. 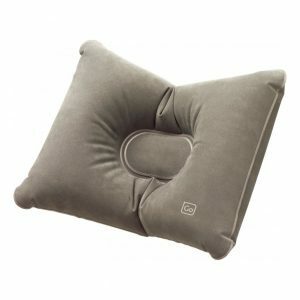 Go Travel- Luxury Travel Cushion (https://www.justonline.co.uk/product/go-travel-luxury-travel-cushion/ ). The Luxury Travel Cushion. A, Just Online stocked, item is incredibly versatile- functioning as a cushion, lumbar support, and sleep aid for the comfort minded traveller. Many airlines, and even train services, now put a premium on luggage space- keep your luggage light, and your stress even lighter with this efficient, multi-functioning and cost effective travel item. 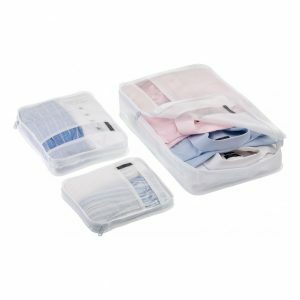 Bag Packers Tidy Case Luggage Packing Cubes Set of 3 (https://www.justonline.co.uk/product/bag-packers-tidy-case-luggage-packing-cubes-set-of-3-white/) Rubbish at packing? Going to a business conference which requires an expensive suit? Flying to a wedding and taking your favourite dress? Packing for two and don’t want to get your clothes mixed up? The above packing cubes provide extra protection and organisation for your packing needs. This specific set contains 3 separate cubes- for your underwear and delicate shirts, although the cubes usage is up to you! 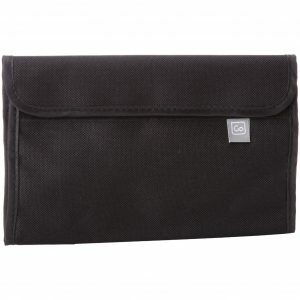 Go Travel- Passport Control Multi-Pocket Travel Organiser (https://www.justonline.co.uk/product/go-travel-passport-control-multi-pocket-travel-organiser/) This product does what it says on the tin- it organises your travel documents into one neat and easy compartment. Keep all your valuable documents in one place and significantly reduce the risk of misplacing or losing key items such as your passport, visa or plane tickets. 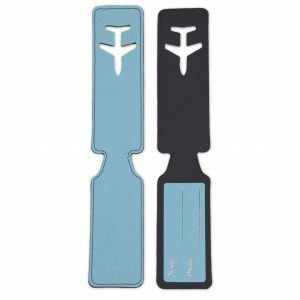 Luggage Tags, Hand Stitched (https://www.justonline.co.uk/product/luggage-tags-hand-stitched-one-pair-light-blue/) Identify your luggage with these aesthetically pleasing, hand stitched, luggage tags. With tags like this, you’ll not have to worry about luggage being confused with other items. The bright colours of the tags will help you catch and identify your luggage quickly whether it’s being taken out of a coach or is being unloaded from a plane. 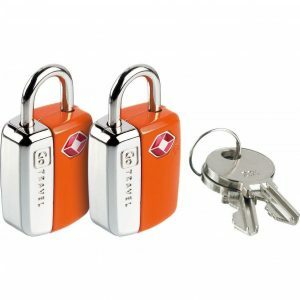 Go Travel Mini Glo Travel Sentry Locks (https://www.justonline.co.uk/product/go-travel-mini-glo-travel-sentry-locks/). Secure your luggage with these discreet, and affordable, padlocks. Especially useful for transatlantic flights to the USA- due to being TSA approved by Homeland Security. They also come in bright colours, for those who wish to easily spot their luggage. 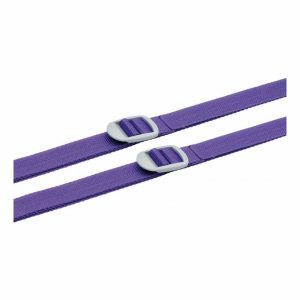 Design Go Luggage Straps Twin Pack (https://www.justonline.co.uk/product/design-go-luggage-straps-twin-pack-colors-may-vary-purple-yellow-blue-black/) Another security essential on Just Online, the Luggage Twin Pack helps keep your luggage safe when in transit. The stocked item comes with two straps that can be used together on one suitcase or shared across two pieces of luggage. Rest easy on your journey knowing that your items are safer and far more secure. Thank you for reading our list of essential travel items supplied by Just Online. We hope these products will give you a broad sense of the possibilities for safer, easier and more efficient travel!